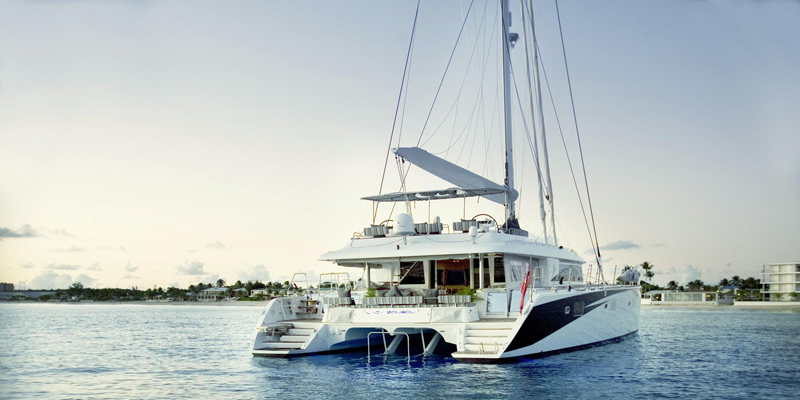 Luxury sailing catamaran LADY BOU BOU was launched by Lagoon in 2010. 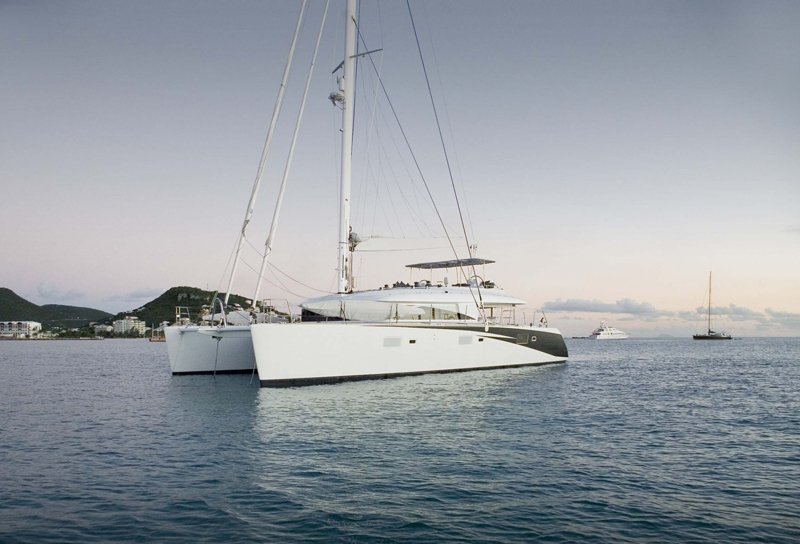 Designed by naval architects Marc Van Peteghem and Vincent Lauriot Prévostthe, with interior design by Nauta Design, the sloop rigged yacht measures 18,9m (62ft) and can accommodate 6 charter guests in 3 spacious cabins, she is available for charter in the Caribbean. 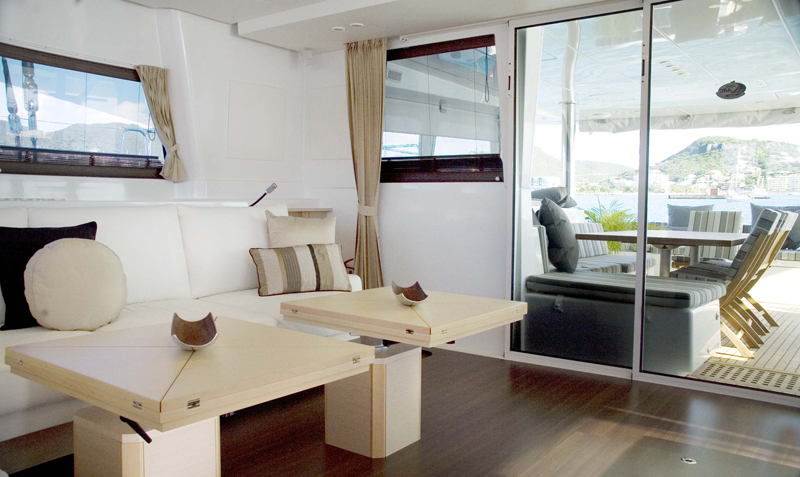 Catamaran LADY BOU BOU offers guests plenty of interior and exterior areas to relax thanks to the wide beam of the catamaran design at 9.8m (32ft). 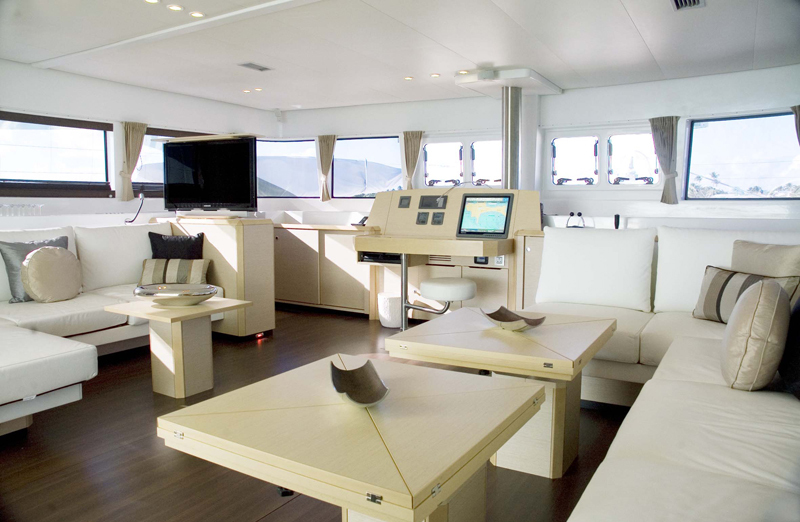 The salon is extremely light and open, featuring sustainable reconstituted wood in light oak with dark nonskid laminated wenge floors. 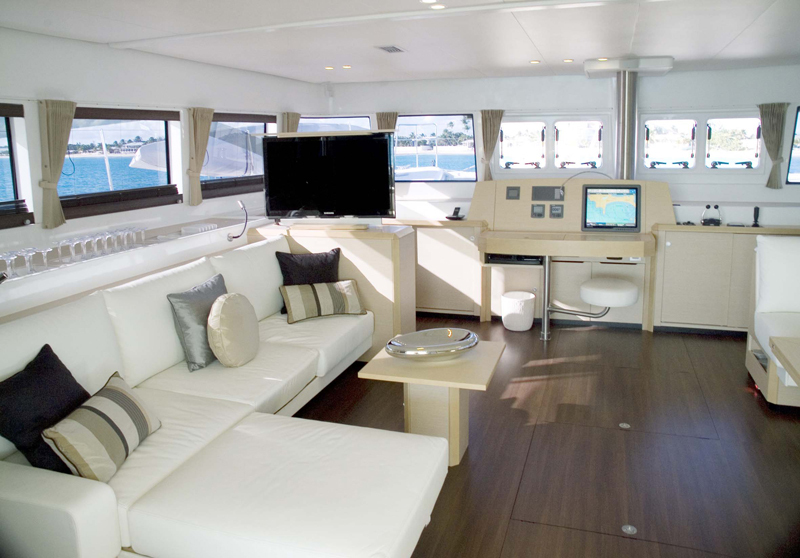 Crisp white sofas on both port and starboard are both modern and comfortable. 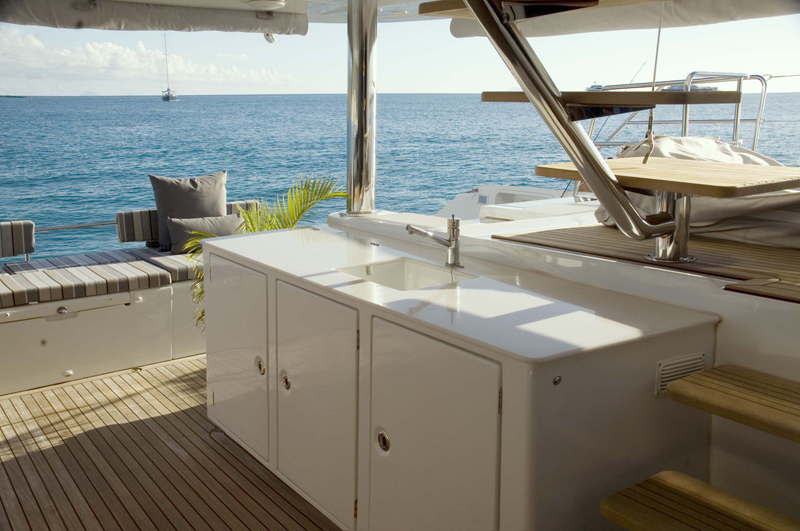 Vertical wrap around windows keep the salon cool and create additional space. 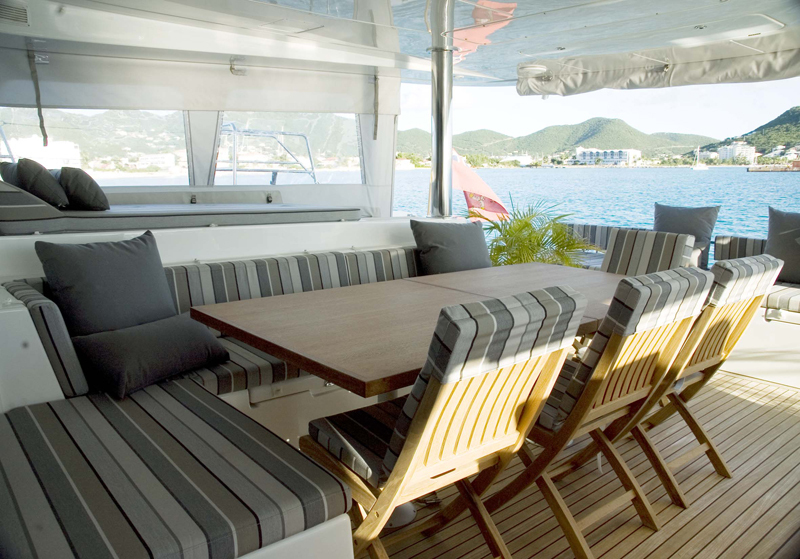 Two coffee tables on the starboard side innovatively convert into a single formal dining table. 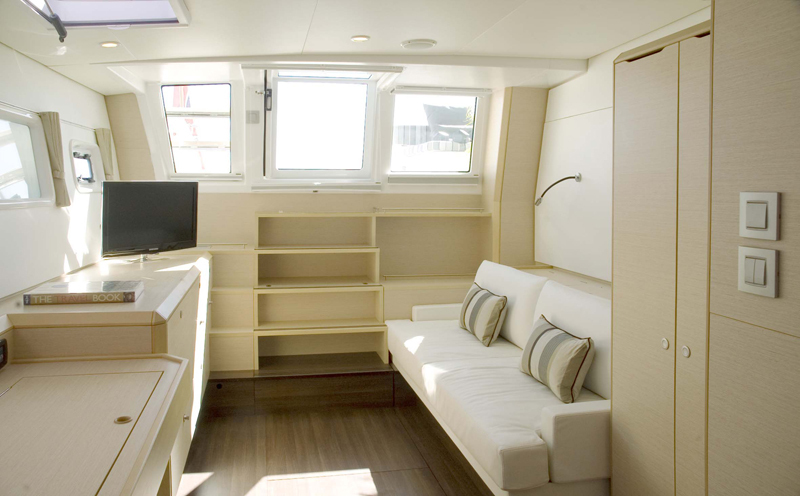 S/Y LADY BOU BOU has a separate galley in the port hull freeing up precious room for her guests. 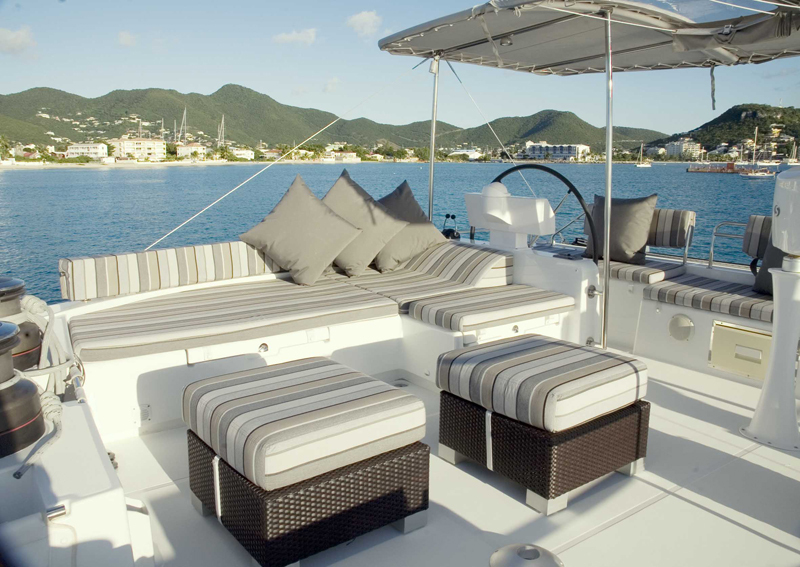 Charter catamaran LADY BOU BOU features a large shaded cockpit with an alfresco dining option, bar area, aft seating and easy access to the 2 extended swim platforms. 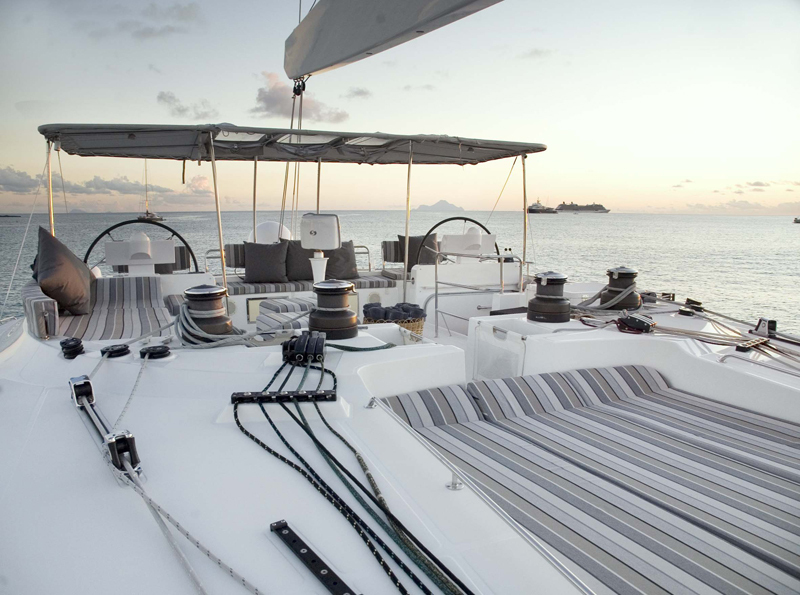 The foredeck invites guests to lounge in the hammock style trampolines, the perfect place to steal away with a book. 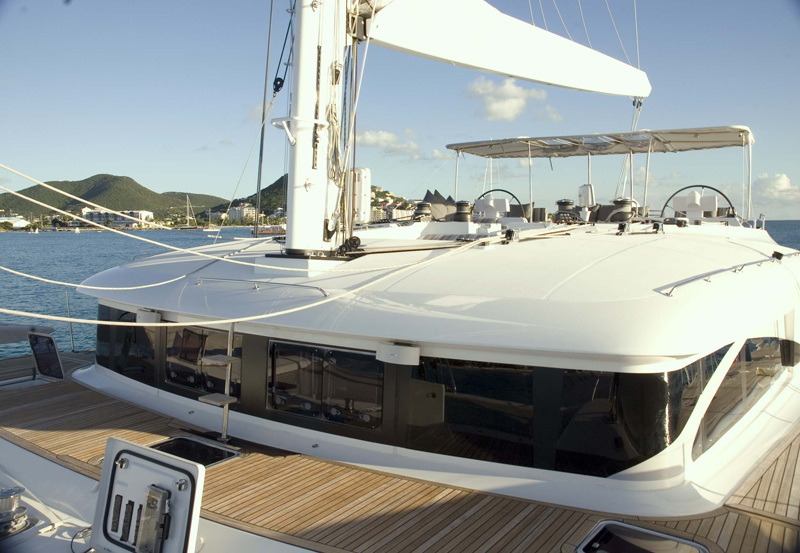 Above, sailing yacht LADY BOU BOU boasts a massive flybridge with 2 helms, ample seating a 3 large sunpads. 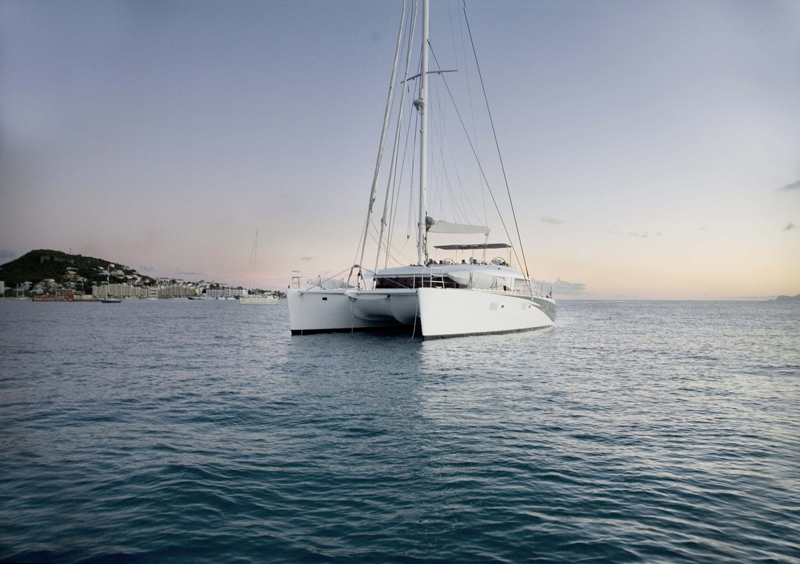 Yacht LADY BOU BOU has a draft of 1.5m (5.1ft) allowing her to navigate into anchorages others cannot, she sails at a steady 8 – 10 knots on over 2000 square feet of white canvas. 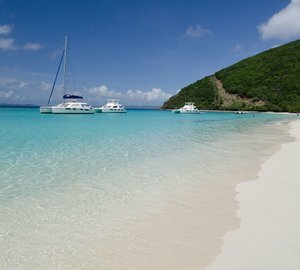 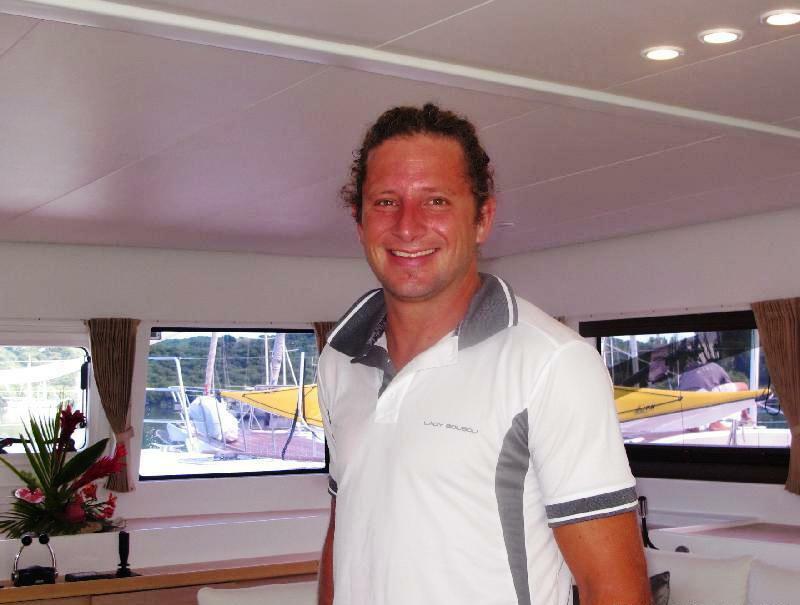 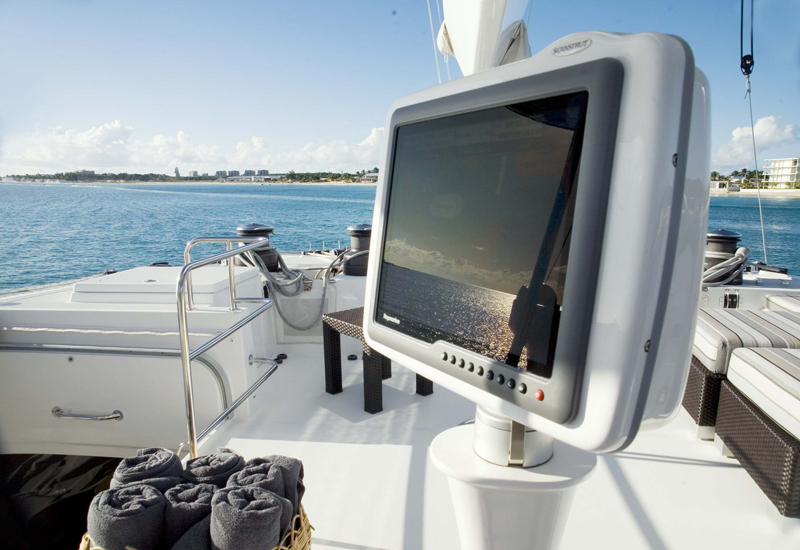 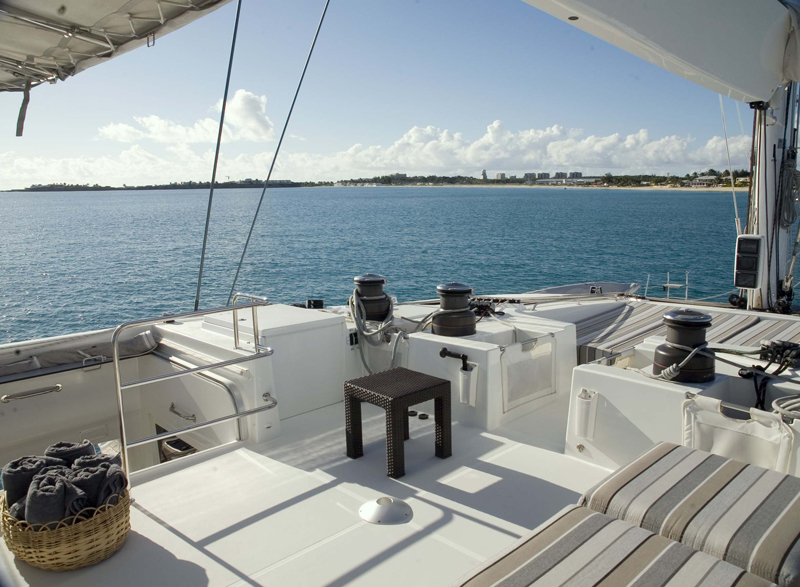 Luxury charter catamaran LADY BOU BOU accommodates 6 guests in 3 generous cabins. 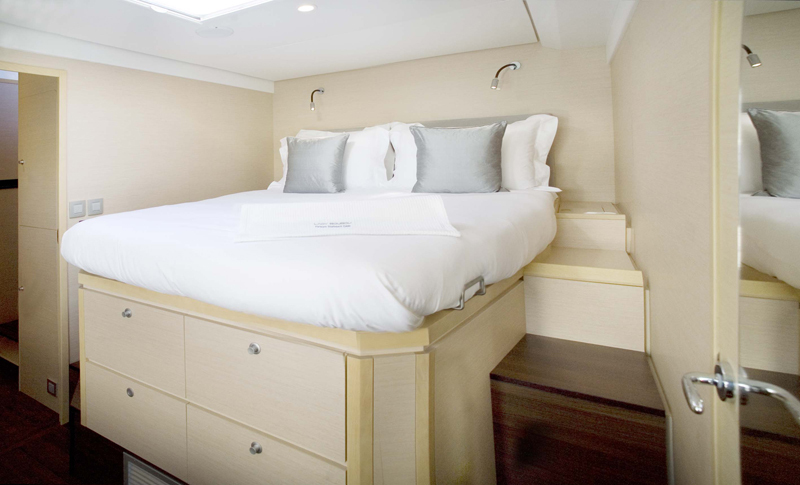 The Master suite occupies the aft half of the starboard hull with a king size bed, sofa, desk / vanity en-suite facilities with shower and optional private companionway. 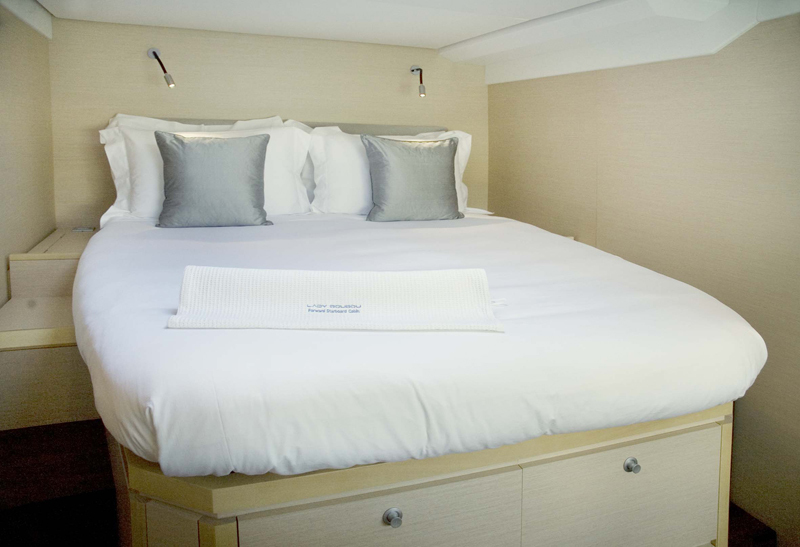 The VIP cabin is in the forward half of the starboard hull with a queen size bed and en-suite facilities with shower. 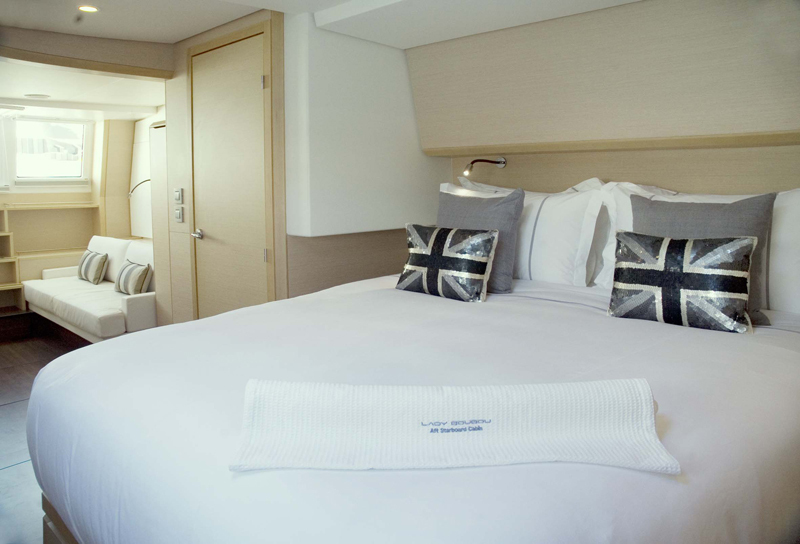 A further double guests cabin is in the port hull and forward with a queen size bed and en-suite facility with shower. 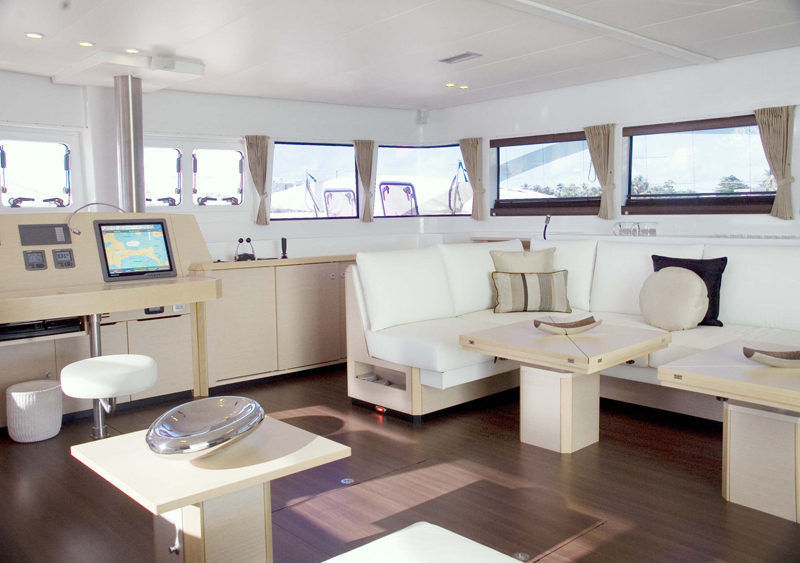 All 3 guests cabins have custom Lagoon one way windows allowing plenty of natural light and are fully air conditioned.